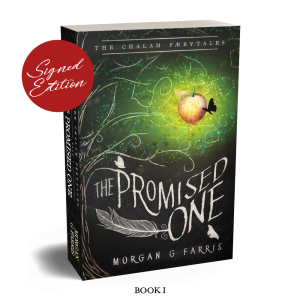 I am so honored and excited to share that The Promised One (The Chalam Færytales, Book I) was a finalist in the American Book Fest Best Book Awards for 2018! 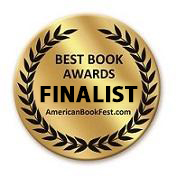 Nominated in the religious fiction category, to be among the finalists is an honor! You can see a full listing of the finalists and winner here. And you can read the full press release from the American Book Fest here. Hi my friends! You have no idea how excited I am that you are a part of this journey. By becoming a VIP and joining my Lair, you are helping me in a very real way. Your support means more books, more music, and more art, to more people! I cannot thank you enough for joining me in this labor of love! So let’s have a little fun, shall we? As the book unfolded, I knew that their story was more than a few chapters could convey. And sure enough, that story birthed into its own book in my mind. So I started writing. What I thought would be a novella—a tidy little companion story—ended up being a full-blown novel all about those moths. I couldn’t believe it! And funny enough, it turned out to be one of my favorite storylines in the series (so far). So let me introduce you to Meren, Fa, Asher, and the gang. I hope you love them as much as I do. And I hope you enjoy this journey into a tiny world. Also, please keep in mind that because you are a VIP, you are reading a raw manuscript. It has NOT been professionally edited yet. That means I want your input. Tell me your thoughts. Tell me ideas you have. Tell me glaring errors you can’t ignore (hahah). I want your feedback and I want YOU to help me write this book! Anyhoo…. Let the fun begin! Copyright Morgan G Farris, 2019. All rights reserved. Any unauthorized duplication is a violation of applicable laws. Want to read the rest of the novel? Join us at The Lair @ Patreon today!